The second project by renowned cocktail artisans at Bermondsey Arts Club, La Bonne Bouffe is inspired by Paris bistros and Provençal cafes, bringing a touch of French sophistication to South London. Just a short walk from East Dulwich station, diners can expect a relaxed yet chic atmosphere. Let your mind transport you to Nice on a balmy summer’s night and you’re somewhere in the right vicinity. Hey, there’s even B&B-style bedrooms for the perfect staycation. Delicious food for delicious company is what you can expect at La Bonne Bouffe. Traditional offerings such as escargot are accompanied by the less adventurous but no less delicious, such as Suprême de Volaille de Landes, Moorland chicken in creamy sauce. The wine is imported exclusively from France and for those who struggle to pick from the extensive list, the bar also offers elegant cocktails. Given the team behind one of South London’s most extravagant cocktail bars is also behind this one, we think it would be hard to go wrong whatever you order. 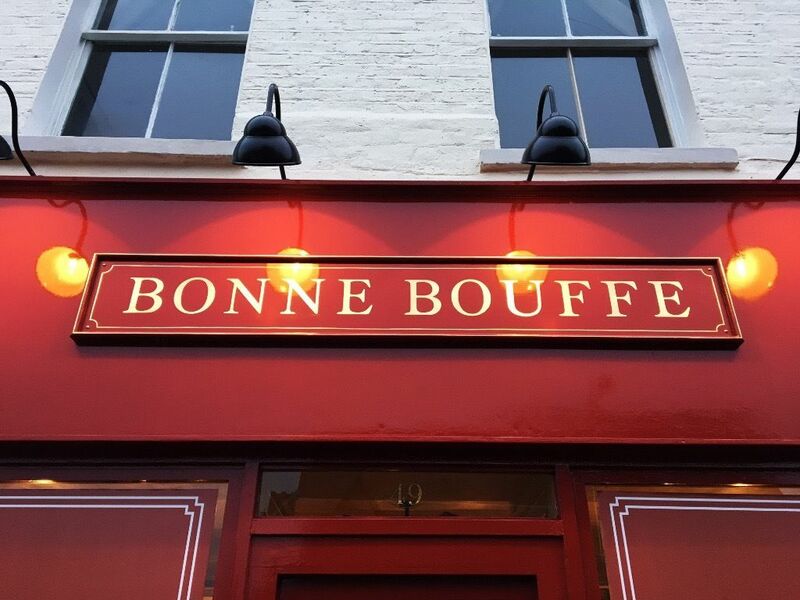 La Bonne Bouffe is bringing South London elegance, comfort and a certain je ne se qua in its delicious new dining destination. Those French, they get us everytime.